We humans can be hard on ourselves. We beat ourselves up for the littlest things. “I wish I was better at this.” “Why couldn’t I do that right?” We compare ourselves. “Why can’t I be more like her?” “How does he do it?” Many of us live with a constant stream of self-criticism when we don’t live up to the expectations we put on ourselves. And these messages have an impact. There is power in our thoughts. Negative thoughts are like weeds. They multiply and attach to other thoughts until they clog up the mind. Positive thoughts can be harder to cultivate, but the effect they have on us is freeing. Akin to a door or window being opened, allowing in sunlight, and fresh air. Just as it takes effort to pull weeds from the garden, it takes effort to shift away from negative thinking. This week, let’s meditate on the messages in our minds. Are there recurring beliefs or negative statements that seem to be on repeat in our heads? 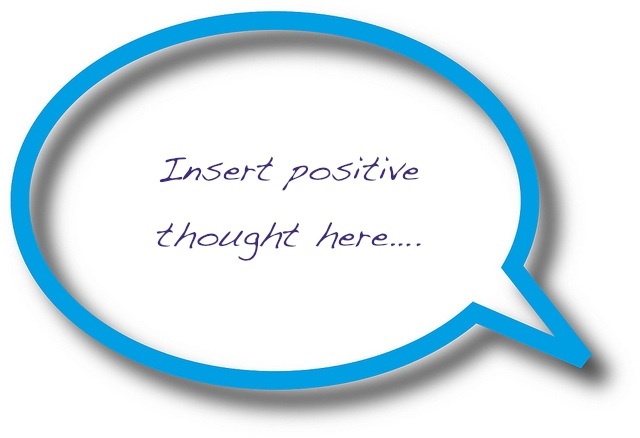 Can we shift those messages into positive ones, or replace them with new, fresh thoughts? I’ll leave you with a quote: “What we think, we become.” What do you want to become? Thank you for sharing. A beautiful description.